By all accounts, the social activist Dorothy Day was an unconventional woman. The co-founder of the Catholic Worker movement, Day fed the hungry, housed the homeless, and agitated against war. Today, the Catholic Church is considering canonizing Day, but as a young woman, her bohemian lifestyle was anything but saintly. Below, a Q&A with Hennessy. You can also read an excerpt of the book. From 1980 when my grandmother died until 2008, my mother and I spent a lot of time talking about her mother. I kept saying to my mother, this is a fabulous story! 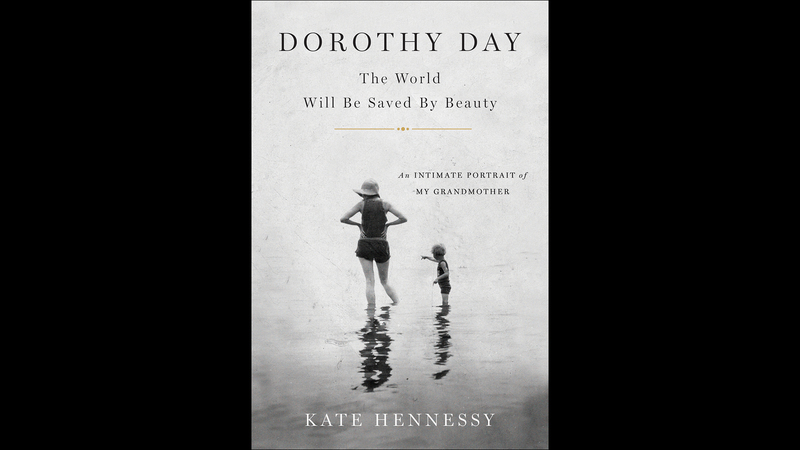 No one else can write about Dorothy Day as a mother, which was an essential aspect of everything she did. It was the birth of my mother that was the beginning of her conversion, her incredible gratitude for the birth of my mother. And when my mother died in 2008, I thought this is it, I’m the only one left. There’s a lot out there about Dorothy Day, from the point of view of theologians and academics, but we were missing this essential ingredient of Dorothy Day as a mother, as a grandmother. We tend to parse that out of well-known people’s lives, and I wanted to say no, my mother’s life was incredibly important. Everything I write about Dorothy, her history, the history of the Catholic Worker, comes from the point of view of my mother. How much of your grandmother’s history did you know? How did you prepare to write this book? I thought I knew a lot. When I first started writing, I thought, I pretty much know this story. My mother and grandmother were storytellers. But I started doing the research and found this is much more complex than I first thought. I ended up doing two years of research – there are a lot of books that covered that time, so luckily there’s a lot out there. And my family is a family of writers – not only personal family papers, letters, diaries, all kinds of stuff that was quite rich. So I was happy to have done that research, it was one of the best part of the whole project. It’s really striking how many literary figures come up in her time in Greenwich Village. I only put in a few people! She had an unerring eye for knowing which people were the interesting people. Did writing this book change your perception of your grandmother? Your mother? Not really. Even though there were things I realized I didn’t know or didn’t have correct, I basically knew everything in their lives, so there weren’t surprises. But I would write with their photographs above their desks – they both had a very severe, very strong presence – sometimes I’d look up and say things like, how could you! What were you thinking?! One thing that really changed is that I fell in love with everyone that I wrote about, and there are some very difficult people in this story. Coming to an understanding of what they were living with – that was a surprise to feel how much closer I felt and how much more I loved the two of them in this process. She wouldn’t have called herself a feminist, but she definitely had traits, did things that today people would classify as feminist. She was a suffragette. But she was Catholic. How did she view the very patriarchal structure of the Catholic Church? This is a very complicated question. I’m still struggling with the answer. In one way, she had no patience for that. In another way, she was oblivious – she never let anything stop her. She didn’t get caught up in whether she was trying to be controlled by others – of course she experienced it personally, discrimination because she was a woman. But she didn’t speak about it often. It’s like that wasn’t a fight that she was interested in. In one sense, she was a feminist, in another sense, she did not identify herself as feminist – it’s more how she operated in the world. I think also she was uncomfortable with the term feminist – I’m not really certain but it seems like she didn’t really understand what women were talking about. She was thinking that it was just had to do with sexual freedom at one point – the women’s liberation movement in the 1970s – but at that point she was elderly and feeling a bit more disconnected with the women’s liberation movement. She was anti-abortion, but she had an abortion. Did she regret it? I don’t know the answer. She rarely talked about abortion – she spoke about it once or twice, it was really something that she did not focus on in her work, in her life. She certainly was definitely anti-abortion but where that came from – besides of course the Catholic Church, which is obviously anti-abortion – I really cannot tell you. Can you talk about the time she spent in Chicago? She was in Chicago three times – once was she was a child when her family moved there after the San Francisco earthquake in 1906, a very formative period for her. She was in Chicago for her abortion – a very brief time. And then she returned to Chicago for several years in the early 1920s during an amazing time in Chicago history – it was literary the center of the U.S. at that time, and the radical center. What do you think she would think of Pope Francis? She would love him! I think he is talking about a lot of the things that she was talking about. I don’t want people to admire my grandmother from afar. I want people to see that she was very human, that she had suffered, both she and my mother suffered a lot, but they persevered, they kept at it. We tend to put well-known people on a pedestal and continue with our lives. I want this to be a personal story, a family story that people can identify in their own families and then say, ah, what can I do? I think that a lot of people ask me, what do you admire most about your grandmother? I don’t have room to admire her. That implies a certain amount of distance. But I know that if you pay attention to what she is saying and what she did, your life is going to be changed dramatically. I want to bring that possibility of experience to readers. Below, an excerpt from Dorothy Day. In the last years of her life, my grandmother often woke up hearing in her mind the words from her beloved Dostoevsky, “The world will be saved by beauty.” Of all the words she wrote, of all the quotes she loved to repeat, of all the advice and comfort she gave to countless people, in all five of her books and fifty years of her column, and a lifetime of diary- and letter-writing, this is what has come to give me the most hope. For if, after years of struggle, weariness, and a sense of deep and abiding failure, she believed in salvation through beauty, then how can we not listen? I discovered this aspect of my grandmother while reading her diaries. They were published two weeks after my mother’s death, but it took almost a year before I could bring myself to open the book. Then once opened, I couldn’t put it down. It was as if I, dying of thirst, were given a long, cold drink from the purest of wells. And as I read, I felt a growing need to add another layer to this tale, to not only portray the grandmother I knew and her daughter, her only child, Tamar, but to also somehow bring my grandmother and mother together in ways they hadn’t been able to achieve while they lived. On the morning after I finished reading I lingered in that half-asleep state where both dreams and reality take on a different quality altogether. That in-between state where you sometimes hear a voice you are certain is from someone in the room calling your name, and you wake up saying, “Yes, what is it?” but no one is there. My dream was brief, as dreams of this kind are—no beginning or end, just a flash containing all I needed to know. And in that moment I felt, sure and true, the knowledge of both Tamar and Dorothy’s lives with all their experiences and memories, and I was overcome by this knowing. I felt the weight and the miracle of their lives, and I wondered if I were strong enough—wise enough—to tell this story. But haven’t I been working on it all my life, living in their wake and stumbling along trying to make my own way? And isn’t this my history also? One of the elements of what makes a person extraordinary, I have come to believe, is when their inner and outer lives are in accord. When what they do in the world is what their innermost being leads them to do. This is why the history of the Catholic Worker is the history of my mother, the history of the relationship between my mother and grandmother, and the history of my family. The winter following my grandmother’s death was a bone-shivering, teeth-aching cold, the temperature hovering between twenty and thirty degrees below zero night after night. At the time, my mother lived with her small black dog in a hand-built cabin on the edge of the woods. She was alone and grieving, and yet she turned to me—she was fifty-four and I was twenty—and in an effort to help us both through this dark time, she and I began a discussion about her mother. These talks were not often easy to follow; their paths could be just as elusive as Tamar was herself. She was unfocused and uncollected. She jumped from thought to thought, while I tried to follow her hints and allusions or the sentences she couldn’t bring herself to finish, telling me her story in the grab bag way she had—an image, a thought, a sparkle and flash of laughter, a retort of anger, regret or loss. We continued our conversations on the first anniversary of Dorothy’s death while staying at the Catholic Worker’s beach cottage on Staten Island, New York. And then in a house in the small Vermont town of Springfield where my mother moved from her cabin, the neighborhood rough but full of poor, working-class families, just as Tamar liked it. Again and again we returned to this discussion until the last weeks of her life twenty-seven years later. Many writers—scholars, historians, and theologians—have chosen to tell the story of Dorothy Day and the Catholic Worker, the movement she began in the 1930s grounded on performing the works of mercy, and which still exists today decades after her death. But it seems to me those who knew her best are often the ones most fearful of trying to write about her in all her complexity, richness, and contradictions. Tamar greeted each new book or film about her mother with fatalism, yet she couldn’t stay away, and she couldn’t keep from being disappointed. Then when such a person as Dorothy Day is your grandmother, an examination of her life isn’t an intellectual, academic, or religious exercise. It is nothing less than a quest to find out who I am through her and through Tamar. It is a quest to save my own life, though I don’t yet know what this means. (Seamus Heaney once said that in his poetry he wrote about those moments he sensed held greater meaning within, even though he might not ever find out what the meaning was.) And I see this quest as not only for me or for my family but for anyone who senses that greater meaning and desires to explore it. There’s a group of children who grew up at the Worker in the sixties and seventies who called Dorothy “Granny,” as me and my siblings do, though they were not related to her, and this is as it should be. We all need to live our lives as if we are Dorothy’s children and grandchildren, being comforted and discomforted by her as she invites us to be so much more than how we ordinarily see ourselves and, perhaps more importantly, how we see each other. Dorothy said there was never a time when she wasn’t writing a book or thinking of writing a book, whereas Tamar wasn’t a writer and had difficulty expressing herself in any medium. “Dorothy was a talker, and my husband was too,” she said. “That was enough.” But there did come a time when she felt the desire to write. When her father, Forster Batterham, died four years after Dorothy, Tamar discovered in his apartment letters Dorothy had written to him in the 1920s and early thirties. In them Tamar finally could read of the love and longing her mother felt for this silent man, so much like his daughter. In them, Tamar could once again see the mother, the Dorothy Day she so loved and that seems in danger of being lost to the world—a woman of great joy and passion, humor and love of beauty. Tamar grieved the loss of this vibrant woman to the annals of hagiography and the desire to see her as a saint, and at times to Dorothy’s own nature especially during her “severe and pious” stage, as Tamar called it. In these letters Tamar found what she had longed for—love between her mother and father, Dorothy the saint and Forster the scientist, the two halves of her heart. And after reading these letters, she wanted to show the world this part of the story, her story. I can see the two of them in my mind’s eye, mother and daughter facing each other, loving each other, challenging each other. “This is the story of my life,” says one. “No, this is the story,” says the other. Many of Dorothy’s favorite quotes had to do with love: “Love is the measure by which we shall be judged,” and “Where there is no love, put love and you will find love.” Those two are from St. John of the Cross. Then there is Dostoevsky: “Love in action is a harsh and dreadful thing compared to love in dreams.” But it is one of Dorothy’s own quotes that I love the best: “God understands us when we try to love.” Tamar liked to say, “All the world needs is loving kindness.” Her love was of a more practical nature, the words of a mother of nine and a steward of the land, whereas Dorothy’s love had an element of mystery, a quality she needed for the life she led. Dorothy also said we all feel alone and we always will. She said that we struggle against both freedom and responsibility, and with these, too, we always will. Tamar said we all must live our own disasters. Agony and foolishness she called these lives we lead. For me, these quotes of theirs reveal something of the love they gave and received, the lessons they learned and the heroism it required, each in her own way. I don’t think they ever said these words to each other for if they had, maybe they would then have been able to understand the nature of their struggle with each other, and maybe their intense love for one another would have been leavened by this understanding. But Tamar was unable to write her story, as Dorothy was unable to write her last book in which, it seems, she wanted to make sense of this relationship between mother and daughter. And so here I am left holding the pen, still grieving the loss of my mother, still grieving for the two of them, and led by the only thing that matters, the only thing worth writing about—love. Note: This interview originally aired on "Chicago Tonight" on Dec. 19.